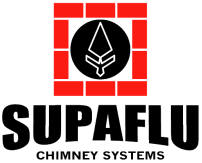 Repairing damaged chimneys, flues, and fireplaces while preserving their appearance and integrity is no easy feat...but at Supaflu, that's our specialty. ​Our expertise and workmanship in all aspects of chimney repair; combined with our UL Listed Zero-Clearance Supaflu lining material ensures the quality and professional results your project requires. Copyright © 2016 North American Supaflu. All Rights Reserved.